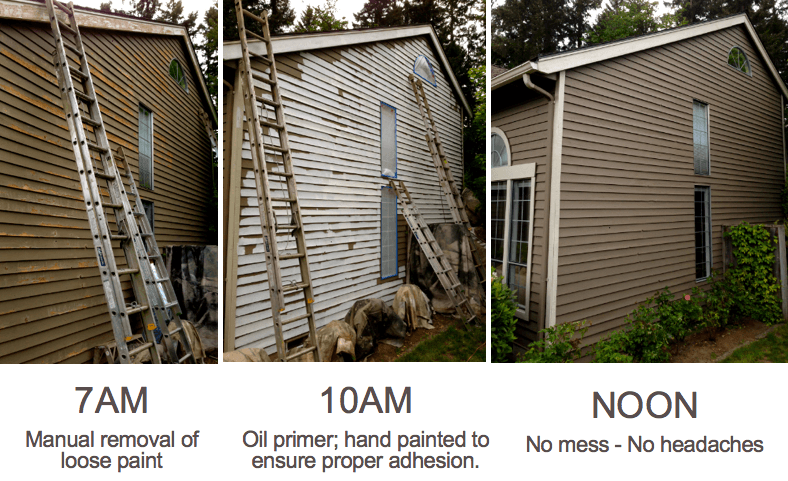 Painting Preparation is key to a durable, professional paint-job that can withstand our damp Northwest climate. 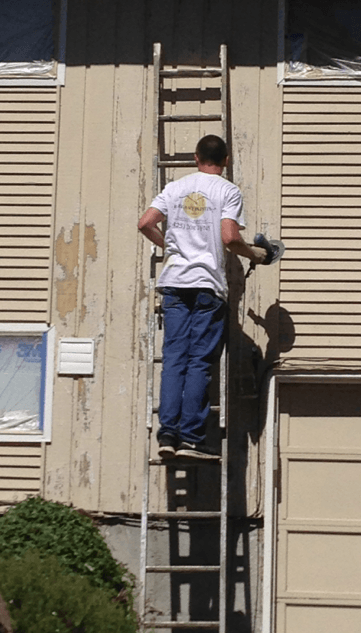 Elegant Painting uses the following professional Preparation techniques to prepare exterior surfaces for painting. This process removes any loose or chipping paint and mildew, leaving the substrate ready for primer & paint. Washing is the first step in any painting job. After moving items, such as patio furniture, planters, garbage cans, etc. a safe distance away, we wash they house by first soaking each wall, then we apply a mixture of TSP and bio degradable house bleach to any visible mildew and water-stains. The solution is then allowed sixty seconds to activate and washed using Honda power washers. 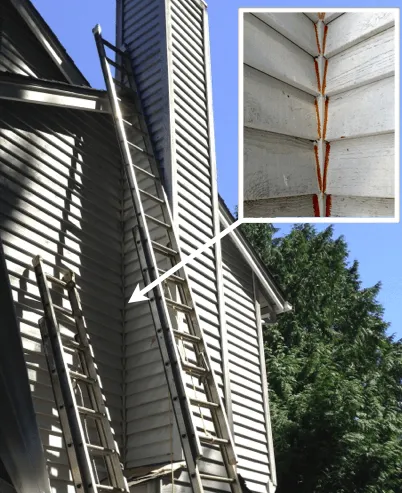 The tip of the wand is kept a safe distance away from siding to prevent damage. Windows and doors are rinsed from an even further distance to prevent water entering the house. After the wash, we rinse all exterior surfaces to remove any debris before they dry. After allowing sufficient drying time, our painters remove any peeling or chipping paint. We start by using Makita disk sanders to remove not only paint that is currently peeling, but also anything that we feel might peel anytime in the future. The Makita disk sanders remove loose paint as well as any early stages of dry-rot that might be developing underneath, leaving the substrate ready for primer. 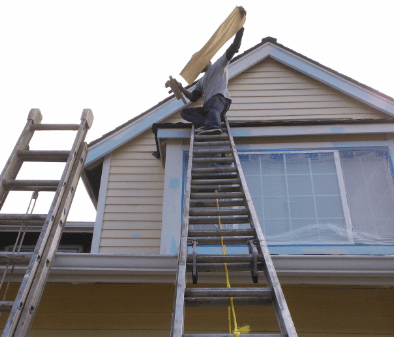 Elegant Painting gurantees, in writing, that our painters will complete a thorough masking and cover-up job and will not slop paint on any surfaces; windows, plants, walkways, driveways, patio furniture, deck, etc. AFter all the sanding dust has been removed, KILZ oil based primer is applied using brush and rollers. We used brush and rollers to ensure proper penetration into the substrate. Caulking is done after the primer has dried. Much like paint, Caulking materials adhere best to primer. We caulk all gaps, cracks, nail-holes, and joints. 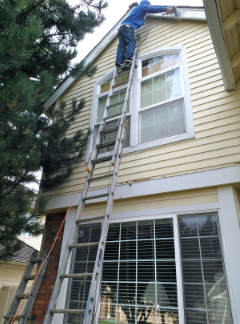 Posted in Procedures and tagged elegant painting kirkland, kirkland painters, kirklandh house painters, painters, painting, primer, sammamish house painters, sammamish painters.